James Lind MD (1716-1794), was the cousin of the James Lind that knew Percy Shelley. He, too, was a graduate of Edinburgh University and became a physician who went to sea as a naval surgeon (though with the Royal Navy, rather than the East India Company). 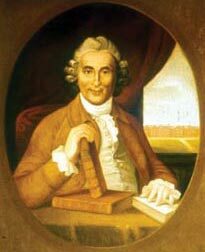 This ‘other’ James Lind earned a place in medical history through his work towards the cure and prevention of scurvy; Lind made this discovery by means of an innovation for which he is also remembered - the world's first medical controlled trial. Eventually, this led the Admiralty to supply lime juice to its seamen. His Treatise on the Scurvy (1753) is one of the classic texts in the history of medicine. Sometimes referred to as ‘the father of naval medicine’, he is probably more widely remembered than Shelley’s mentor, and is occasionally confused with his cousin (and vice versa), and certainly appears more often in biographical dictionaries. 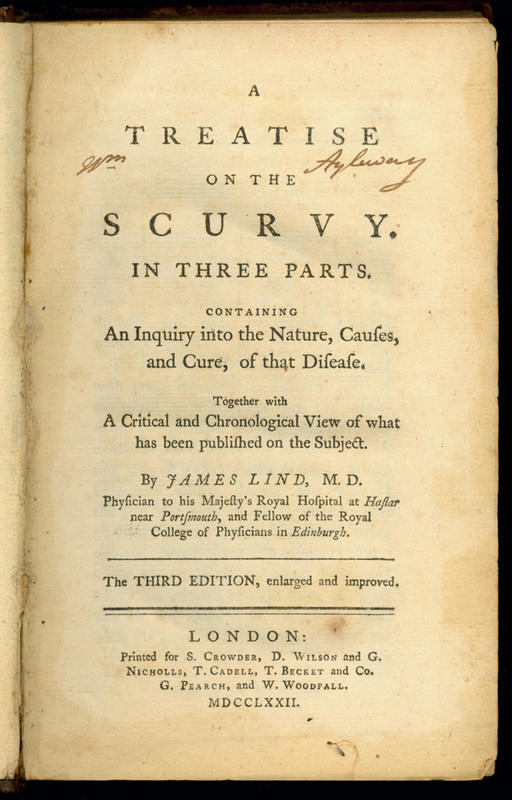 To differentiate the two, historians sometimes refer to the discoverer of scurvy as James Lind of Haslar (the name of a naval hospital where he later worked); whereas Shelley's mentor is known as James Lind of Gorgie (after his birthplace).